Our physicians have helped thousands of people see better, look better, and feel better. Charlotte Ophthalmology, is a leading Charlotte area eye center with over 40 years of experience. We believe in one-on-one patient interaction. At our office, it’s not about the numbers… it’s about treating patients one at a time. We are committed to excellence, and our patients turn to us for the best care available. Our physicians welcome patients for routine eye exams. At this visit our experienced team of ophthalmic assistants and physicians will work together to check your vision, determine whether your vision could be improved with glasses or contact lenses and examine your eyes carefully with specialized technology for the presence of any eye conditions or diseases that might threaten your eyesight. Many people do not realize that some conditions like glaucoma and retinal disease may create few or no symptoms, especially in the early stages of the disease. Early detection of conditions like these allow for more effective treatment and a better prognosis. 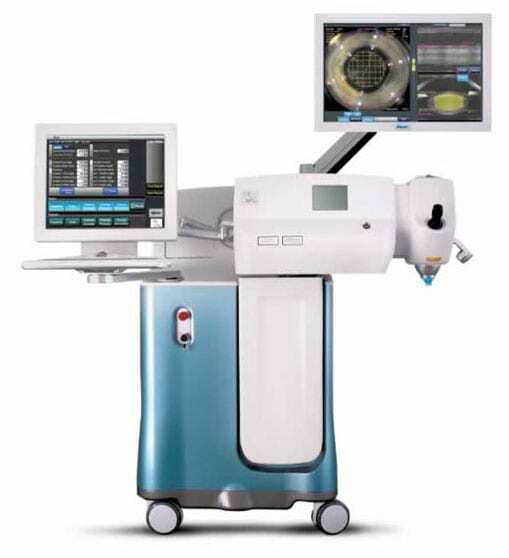 Charlotte Ophthalmology Clinic invests in the latest laser, surgical, and pre-op testing equipment available. Our physicians are always up-to-date on the newest treatments and technologies, all delivered with the personal care our patients have come to expect. Dr. Brandon Whiteside is our vision correction surgeon specializing in state of the art cataract surgery with premium lens implantation, LASIK and treatment of corneal diseases including corneal transplants. Dr. Daniela Whiteside specializes in medical retina treating macular degeneration, diabetic retinopathy, retinal tears. They are among the most experienced and well-trained in the entire country. Together they have performed thousands of surgical and vision correction procedures and work as a team to meet all of your eye care needs. Both are board certified by the American Academy of Ophthalmology, and have completed extensive training as eye surgery specialists and ophthalmologists. We are proud to announce the addition of LenSx Laser Cataract Surgery. For patients who are candidates, the latest technology for cataract surgery allows our doctors to use a surgical laser, called LENSX, for specific segments of the procedure to make cataract surgery more accurate than ever before. This laser system creates incisions without a blade so that the capsulotomy, primary incisions and even astigmatism incisions can be created more precisely. Charlotte Ophthalmology is proud to be the only practice in North Carolina to offer Z-Vision™, an advanced all-laser LASIK procedure. This procedure combines the most advanced femtosecond laser for more gentle creation of the flap with the precision and accuracy of true Custom Wavefront VISX technology to reshape the cornea and give a quicker recovery for your vision. Our operative suite is constantly monitored to maintain strict humidity and temperature levels, which are imperative for the equipment to function properly. Dr. Whiteside personally will make sure your Lasik experience will be a positive, personal experience with the results you would expect from an expert in this field.